However, this average-looking guy has a not-so-average problem - he just can't seem to find an opponent strong enough to take on! He's easily taken out a number of monsters, including a crabby creature, a malicious mosquito girl and a muscly meathead. 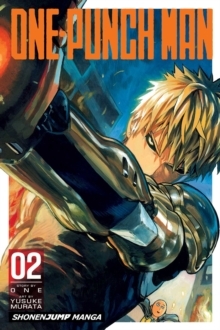 But his humdrum life takes a drastic turn when he meets Genos - a cyborg who wants to uncover the secret behind his strength!